It is (or at least should be) a fact that nostalgia is a hell of a drug. It’s like cocaine to the soul. At some point in your life you are probably going to utter the phrase; “Today’s music is just…. (insert derogatory comment)”. Our love for the past is a disease in which there is no cure. And frankly, I find this to be a good thing. 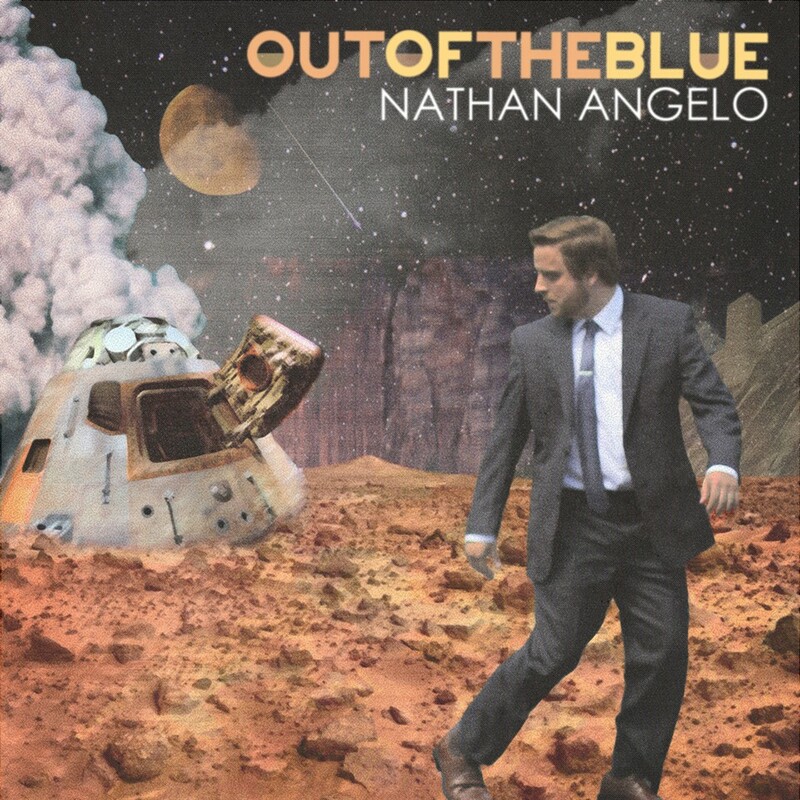 And with that being said, insert Nathan Angelo and his infectious new album Out of the Blue, an amazing tribute to the days of yesteryear. This album is an incredible ode to not only the days of Motown, but to the time when R&B actually meant Rhythm & Blues, as compared to whatever it is suppose to be today. Right from the jump, Angelo makes his goal perfectly clear with the jump up and go track “Get Back”. He whole heartedly informs us that Out of the Blue is going to be a journey back to the music that he is obviously very passionate about. And then the journey begins. Whether it’s the funk driven “You Could Be My Girl”, or the cool, collective, and oh so smooth love ballad “Thank You”, this is an album for the true believers of what it used to mean to be a genuine soul machine. And with just a touch of doo wop, this is an album that is fuel for the nostalgia in all of us. With a voice as smooth as expensive cognac, Nathan Angelo is one of the finest artists to emerge in the world of R&B in many many years. Out of the Blue will definitely prove to be the best album in its class to come out this year. Whether you want to dance, love, or simply groove by yourself in your living room with a glass of wine and a good feelings, this is the album you are going to want to hear. Out of the Blue will be released on September 10th. Head on over to his WEBSITE to pick up a copy for yourself, and be sure to catch Nathan in a city near you on his cross country tour in support of the new album.